Precision machined from solid Brass billet. 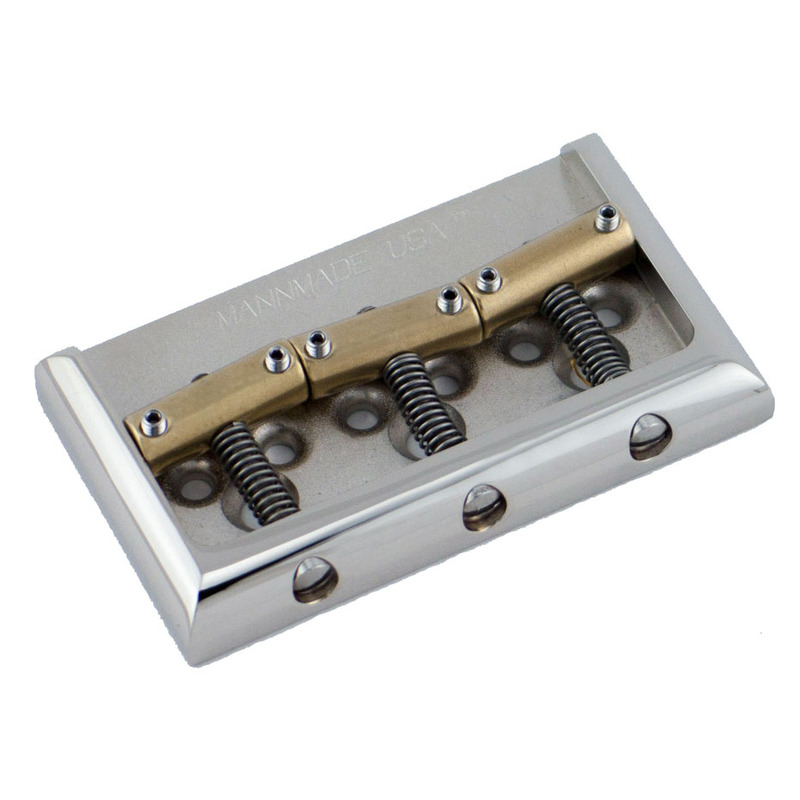 Three (3) Intonated Brass Barrel Saddles, fully adjustable for height and intonation. Polished side walls give a comfortable, smooth yet vintage feel. Walls also prevent any side movement of saddles, improving tuning and playability. String thru body bridge plate. Saddles - Three (3) Intonated Brass Barrel Saddles precision machined from solid Brass billet, tumble polished.